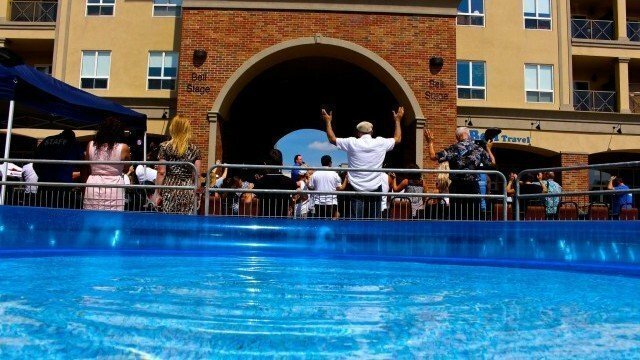 Once, during the summer, we set up a number of pools in Harmony Square which we use as baptismal tanks. We share the message of how Jesus Christ died for ALL of our sins so that we can ALL live free. We also share the good news Jesus spoke and Matthew recorded that, “My yoke is easy and my burden is light”. Ironically, this big Baptism Sunday is not really just about baptism. It’s about churches in Brantford, with many different traditions, coming together as one. It’s about sharing freedom and making declarations publicly. Why right away? Because nothing stands in the way of baptism when we respond with a YES to the Holy Spirit who is drawing people to Himself.